It’s happening! Moonistry lightworker collective is launching on the new moon in August. 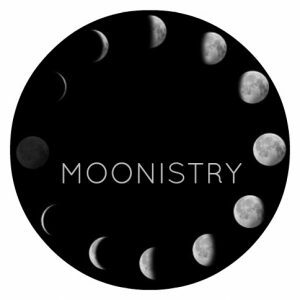 Moonistry is an on-going group coaching membership that renews intentions every moon cycle. Our first cycle, starting August 12th, is focusing on integration of the human energy field expansion that started in August of 2017. Learn what is happening in the evolution of lightwork and explore the cutting edge of consciousness with a master lightworker and amazing group of like-hearted souls. In each week’s circle call, we’ll drop into a guided meditation for clearing and grounding, and we’ll explore the topic of the month. During the course of the call, Tatiana will facilitate energy clearings and take questions, comments, and shares. Our circle meets every Sunday morning at 10:00 am Pacific time via video conference. (You can also call in from your phone.) Our weekly calls are recorded so you can revisit them or watch later if you miss one. Our work is guided by the group and the energy in the moment, so participants will have the opportunity to suggest paths of exploration and future topics. Base rate is $44 every 4 week cycle. To join us, or to learn more about if this work is for you, sign up for a free consultation with Tatiana HERE. To read more about the offering, check out the Moonistry page HERE. © Tatiana Sakurai, All Rights Reserved.